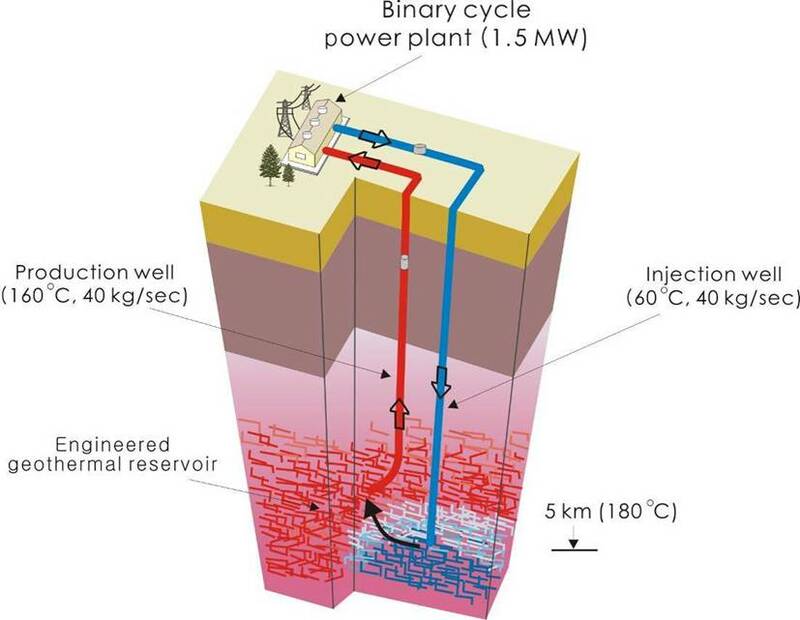 Direct geothermal utilization in Korea revolves around geothermal heat pump (GHP) installations with a rapid increase of about 100 MWth in annual capacity resulting from an active government subsidy program and a “Mandatory Act” for renewable energy deployment in civic facilities. The total installed capacity of GHP exceeded 1300 MWth in 2018. There has been interest in geothermal power generation, especially in enhanced geothermal systems (EGS). The Pohang EGS pilot project began at the end of 2010. As of the end of 2018 two wells had been drilled and tested and the work programme was on hold. The geothermal investigations on Ulleung Island are also on hold.